Who doesn’t love miniature pumpkins? Over the weekend I came across some miniature pumpkins at the grocery store for 99¢ each. I couldn’t resist purchasing them as I thought these would be perfect for the daycare kids. There are several varieties of miniature pumpkins all of which have their own names. 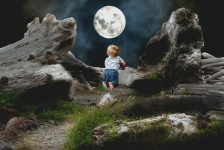 Some of the names I came across were the Jack Be Little pumpkins, Wee Be Little pumpkins, and Baby Boo pumpkins. The pumpkins I ended up purchasing were the edible Wee Be Little pumpkins which are extra small, well rounded with smooth skin and no ribbing. These little guys are the perfect toddler’s pumpkin; tiny enough to fit in the palm of your hand. I thought a great activity for my four daycare children between the ages of 12 months-two years old would be to give these orange beauties a bath. I gave each toddler a pumpkin, the oldest got the largest pumpkin and the youngest got the smallest, just because. But before we gave our pumpkins a bath we decided to color them with washable markers. I gave each daycare kid a washable marker and they gave me the impression like what do we do now. Their first instinct was to pick up the pumpkin and take a bite of course. So I encouraged them to color their pumpkins before we gave them a bath. 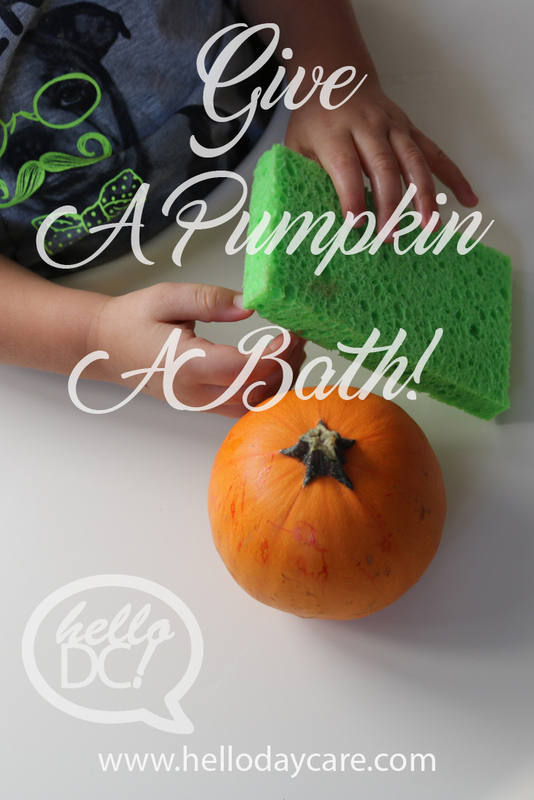 Sponges, And Markers, And Pumpkins, Oh my! 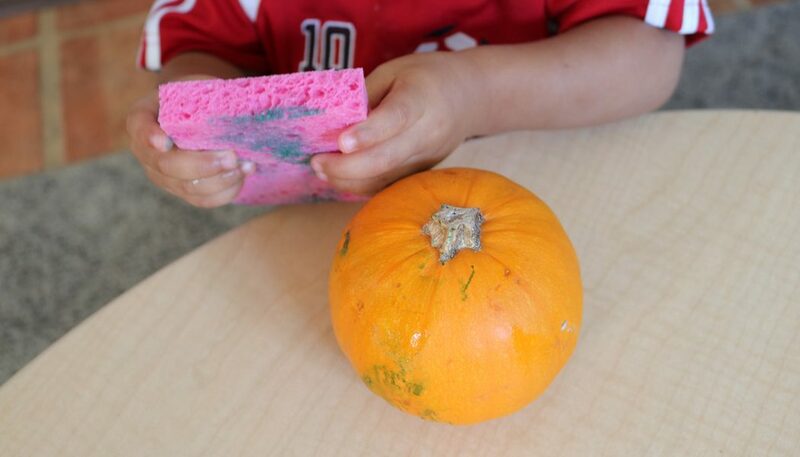 I gave each daycare kid a sponge after they were done coloring their pumpkins (the table, their faces, and hands ) with the washable markers. Thank goodness we used washable markers. They did a great job washing off the markers from their pumpkins. A great tip would be to cut the sponges in half as a better size for the toddlers to use. Overall the kids had fun rolling the pumpkins, patting the pumpkins, carrying the pumpkins, trying to eat the pumpkins, washing the pumpkins, and making a mess…but that’s what toddlers do!